Pictured above are the faces of small town pride. Some of the most dedicated individuals you will ever see. For 15 years these men and women have planned their vacations & taken days off of work to volunteer to set up and tear down the track. They are some of the hardest working volunteers you will ever see. They work behind the scenes to lay down hundreds of bales of straw, thousands of feet of plastic safety barriers, they drive hundreds of posts, hang safety fence & fill water barrels. They work throughout the weekend replacing broken straw bales, opening and closing corners. 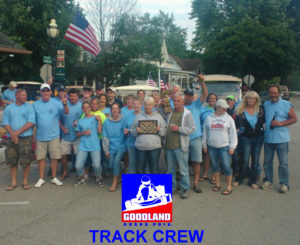 These are the men & women responsible for transforming the sleepy streets of Goodland in to a fast action race track. We want to take this moment to thank each and every person who has ever volunteered to be on the track crew. 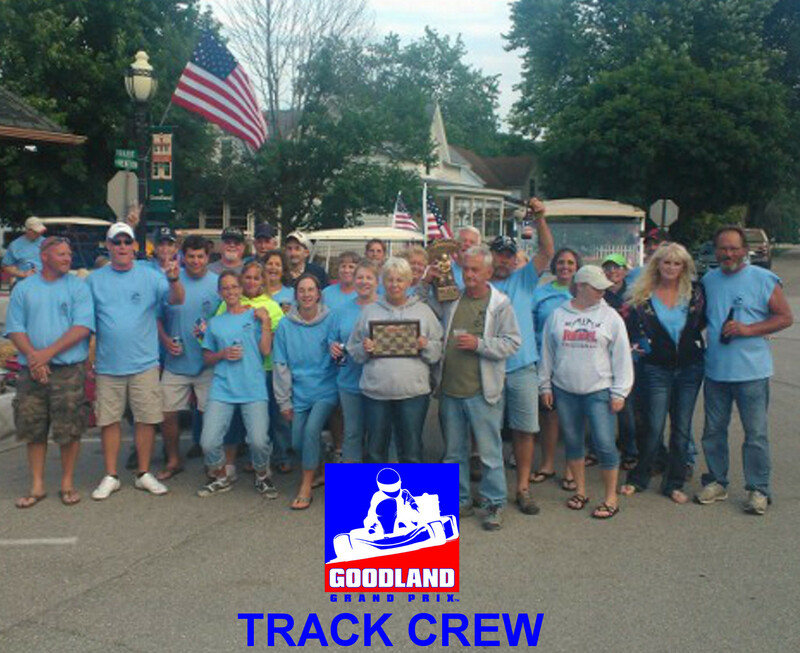 When you see one of these individuals wearing a Goodland Grand Prix Track Crew shirt please take a moment to thank them.